Please feel free to call us at 770-971-9311 ext. 0 and leave us a message. 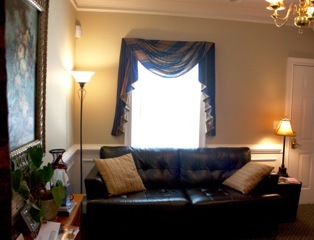 We’ll have one of our therapists contact you by the end of the business day. If you would like to send us an email requesting a call, please fill out the form below. Please be advised, however, while we make every effort to preserve your confidentiality, electronic communication cannot be guaranteed to be confidential.For this reason we ask that you please do not send any identifying or otherwise confidential information in this form. Any information submitted through this form may reside on various servers even after all parties have deleted the messages. In order to preserve confidentiality, it might be best to contact the office and leave a message on our confidential voicemail system. Thank you! Scheduled appointment is required. We are not available for walk-in visitors. We are conveniently located just a few miles from exit 267–A off of I–75 and just minutes from all of East Cobb, Kennesaw, Roswell, Woodstock, and Acworth. 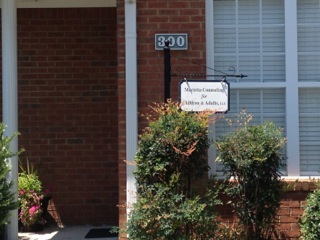 Our office is near the intersection of Sandy Plains Road and East Piedmont Road, across from Sprayberry High School. Please be aware that the Google Maps location marker for our office is incorrect. We are in the process of having this updated. In the meantime, please use the driving instructions below. Take Exit 267–A onto Canton Highway 5. At the first light you will turn right onto Sandy Plains Road. Go through five stop lights, passing Keswyck Commons neighborhood on the right and Mozelle Street. After passing a graveyard on your right, look for the big Travel Leaders sign and turn right into the red brick office park. Go to the first stop sign and turn right. Go to the top of the street and turn left. Building 25 will be on your right. Travel southeast on Barrett Parkway. It will turn into East Piedmont. As you approach Sprayberry High School (on the right), you will turn right onto Sandy Plains Road. Turn left at the break in the median onto First Street and then take an immediate right into the office park. Proceed through the stop sign, and Building 25 will be straight ahead to top of parking lot. Turn left and the building is on the right. Travel East Piedmont off Sewell Mill or 120 heading northwest until you come to Sandy Plains Road. Turn left onto Sandy Plains Road and then turn left at the break in the median onto First Street. Take an immediate right into the office park. Proceed through the stop sign and Building 25 will be on the right. From 92 take Sandy Plains Road west to East Piedmont. Cross over East Piedmont. Turn left at the break in the median onto First Street. Take an immediate right into the office park. Proceed through the stop sign and follow same directions as above. From Marietta Square take Canton Highway 5 toward Kennestone Hospital (will be on your left) and cross over I–75. At the first light you will turn right onto Sandy Plains Road. Go through five stop lights, passing Keswyck Commons neighborhood and Mozelle Street, and then just past a graveyard on your right you will look for the big Travel Leaders sign and turn right into the office park. Go to the first stop sign and turn right. Go to top of parking lot, turn left and building 25 will be on the right. 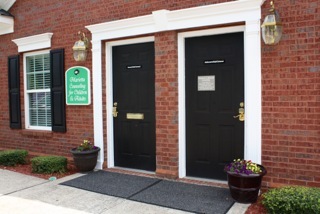 Please review Marietta Counseling's Notice of Privacy for Clients by clicking and downloading this link. Our email address is info@mariettacounseling.com. Our fax number is 770-726-0652.